What AIPAC seems to be facing is the fact that its base, while very active and willing to mobilize considerable wealth as well as time and energy to support the AIPAC agenda, is aging and increasingly out of touch with most Americans. This is something commentators like myself, MJ Rosenberg and groups like Jewish Voice for Peace have been contending for quite some time. And this is only the tip of the iceberg of AIPAC’s problems. As reported by Adam Horowitz, a recent NBC News/Wall Street Journal poll showed American support for Israel as opposed to the Palestinians (who got 13%) at 45%, that 55% of Americans believe the United States should treat Israel and the Palestinians as equals, and 69% do not believe Israel and the Palestinians can reach a peace agreement. This demonstrates what the authors of the famed book The Israel Lobby, John Mearsheimer and Stephen Walt, have repeatedly stated: Americans do support Israel, but do not believe it should hold a place any more special than other US allies. None of this is lost on AIPAC, and it was reflected, to some extent, in Kassen’s statements about Congress, where he expressed concern that many younger Congress members have a “different association” with Israel. But it doesn’t end there. The battle over Chuck Hagel’s confirmation as Secretary of Defense is also casting a shadow on AIPAC, perhaps with some permanent ramifications. Although AIPAC wisely stayed out of the fight, that didn’t prevent the entire episode from becoming a shining example of just how strong an impact the pro-Israel lobby has on Congress. It seeped deeply into popular culture, with prominent comedian and talk show host Bill Maher openly declaring that“Based on every statement I’ve heard from every Republican in the last two years, the Israelis are controlling our government.” And Saturday Night Live may have decided not to air a skit lampooning the extent to which the Senators questioning Hagel were beholden to the Israel Lobby, but it found a bright new life on YouTube. The more extreme groups that took on Hagel are heavily tilted toward the Republican Party, and they, in the 2012 election, tried very hard to win Jewish votes for the GOP by portraying it as the “only pro-Israel party.” They failed mostly because very few Jews actually vote based on Israel. But that polarization is undermining one of AIPAC’s major strengths, its bipartisan reach, by alienating more and more liberals and Democrats in general from Israel advocacy. Finally, many reports from across the political spectrum have noted that AIPAC’s conference this year had a rather thin agenda. The focus was on Iran, and to a lesser extent, trying to protect aid to Israel from both the current sequester and future budget cuts. These are responsive issues — reactions to perceived threats. The conference offered scant vision of a better future for Israel, as it completely ignored the Palestinians. To some extent, one might ascribe this to Israel presently being in a state of flux without a new governing coalition. But it actually is more reflective of Israel’s own lack of interest in peace these days. And the idea of simply managing the conflict is a tough message to sell. 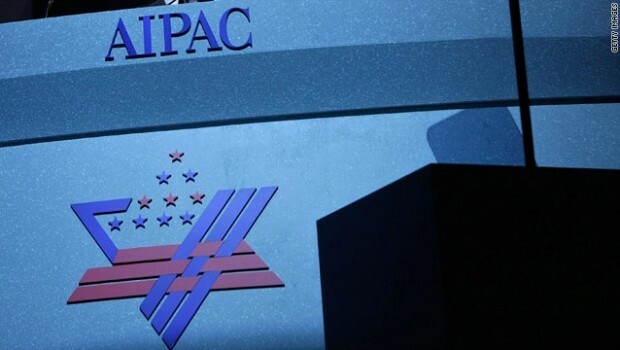 These aren’t new problems for AIPAC, and they’re not going away any time soon. The organization itself has taken note of them, but whether or not they will be able to deal with them is an open question. AIPAC is certainly resourceful, but the simple fact is, the playing field is changing. Americans have major economic concerns, and the entire Middle East is stirring or storming. Israel’s behavior in recent years has been more brazen and the reality of its routine violations of Palestinian human rights and its permanent denial of their civil rights has reached the awareness of more Americans — Jewish and otherwise — than ever before. The “special relationship” has always been an AIPAC-invented fiction that comes to life because of political, not popular, pressures. It has been the shaky foundation of US policy toward Israel and much of the Middle East since the end of the Cold War and the concomitant diminishment of Israel as a strategic asset to the US. In a time where the US populace is continuing to face a level of economic stress it has not witnessed since the Great Depression, the special relationship façade will be even harder to maintain. And AIPAC is nervous, because they know it.